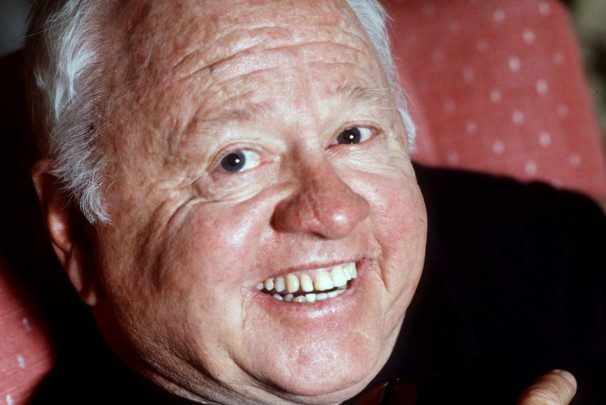 Mickey Rooney, who yesterday died of natural causes at the age of 93, never let his diminutive stature (5’2”)hold him back; looking back over his career, which began all the way back in 1926, few actors matched his resilience in navigating the changing tides of Hollywood or the astounding volume of his body of work. That work is yet to be fully revealed, as Rooney finished filming his role in Night at the Museum 3 prior to his death. The film is currently scheduled for a December 19 theatrical release. Rooney first rose to prominence as a child star in the waning years of the silent film era, portraying Mickey McGuire in a series of films based on a comic strip character. This was to be only the first of Rooney’s franchise roles (he played the character Andy Hardy in the late ’30s and ’40s in one of his best-remembered roles), but it is also the one which gave him his name. Born as Joseph Yule, Jr., Rooney changed his name to Mickey McGuire as part of a producer’s ploy to avoid paying royalties to the writer of the comic strip. The producer lost the case, but the name stuck (“Rooney” came later, in another role-getting attempt). Rooney’s early career is also dotted with the large scale song and dance acts of the time. The son of vaudeville performers, Rooney famously co-starred with Judy Garland in a number of pictures. After a tour in the Army during WWII, Rooney went on to work extensively in television, on stage, and in more motion pictures. With acting credits in more than 300 on-screen performances, Rooney contributed to films like Breakfast at Tiffany’s, The Fox and the Hound, and The Black Stallion. As Rooney’s family said in a statement, “He led a full life but did not have enough time to finish all he had planned to do.” Rooney is survived by his wife, Jan (though the two separated in 2013), eight children, and two stepchildren.